Francesco Gavazzi (Astana) won stage three of the Tour of Beijing after catching late attacker Edvald Boasson Hagen (Sky) on the line. Boasson Hagen looked to have launched a perfectly-timed attack in the final three and a half kilometres, breaking free from the lead group to tackle the final ascent to the finish on his own. Daniel Martin (Garmin-Sharp) led the chase in the final 500 metres, but Gavazzi came around to scoop the victory ahead of Martin and Boasson Hagen, left banging his bars in disappointment after such a near miss. Tony Martin (Omega Pharma-QuickStep) retains the overall lead, with Gavazzi in second at 40 seconds and Daniel Martin at 50 seconds. Friday’s penultimate stage runs from Yanqing to Chang Ping. 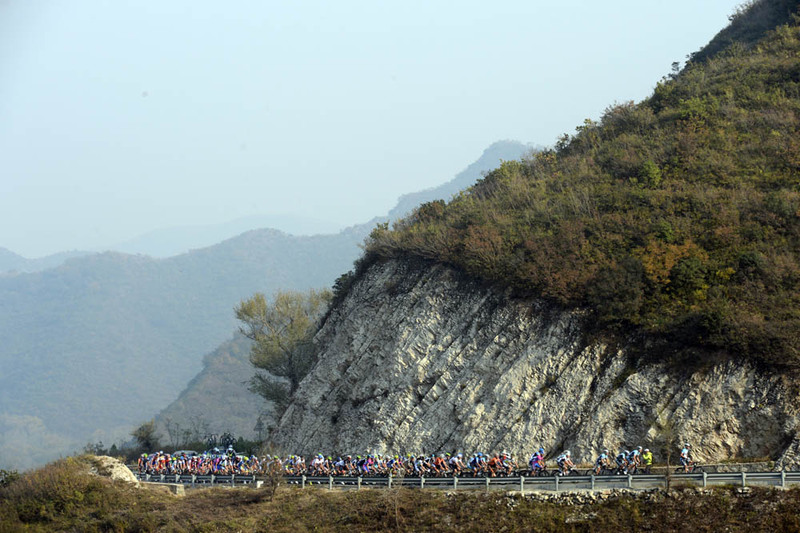 The race concludes on Saturday, drawing to a close the 2012 UCI WorldTour.